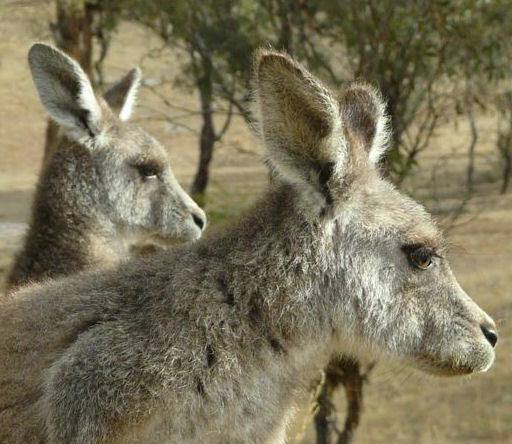 It is of particular concern that the ACT is not monitoring its wildlife statistics for reliability, validity and effective coverage of the area regarding the species there because of the recent highly controversial culls of kangaroos in Belconnen and in Majura. I believe that I have personally raised enough questions about those culls here to justify a complete moritorium until such time as the collection of statistics and their interpretation and the theory of population dynamics in wildlife in the ACT is brought up to speed, which should include genetic testing for diversity and origin of populations. It sounds like the entire system needs replacing - and perhaps the people running it. My office has not conducted an audit on threatened species protection in the ACT. The Office is aware of the work done in other jurisdictions, and considers this is an important issue to examine. However, the Office will not be able to conduct such an audit in the near future, due to our very limited resources. As you would appreciate, there are a wide range of government activities and services covering law and order, education, health, environment, disability, housing, etc..that need to be audited. I have fully committed our performance audit resources to a number of audits that will cover the next twelve months or so. Our annual planning for performance audits is subject to the availability of resources and the competing priorities of audit topics, as well as important emerging or unforeseen issues. There are also topics already planned to take place on the 2010-11 program. The Office has now included the protection of threatened species as a potential audit topic to be considered in our forward planning. The merit and priority of such an audit will need to be considered against other topics. Further information about the Office's performance audit program, including how audit topics are selected is available on our website. http://www.audit.act.gov.au. You may also be aware that the ACT Commissioner for the Environment also has an independent role in assessing government activities in protecting the environment, and can carry out investigations on these matters. The Commissioner has also produced a report which may cover the environment issues of interest to you. This report can be found at http://www.environmentcommissioner.act.gov.au/soe/2007actreport. Thank you again for writing to us about this issue. Should you have any further questions, please contact me or Mr. Rod Nicholas on 62070833. Has the ACT Auditor General provided a report on threatened species protection in the ACT, or will it be doing so in the near future? West Australia: Rich and Rare: Conservation of Threatened Species, Mr Murphy found that, in many areas, the Department of Environment and Conservation (DEC) is not providing effective protection and recovery to WA’s threatened flora and fauna. As the Thylacine disappeared from the countryside of Tasmania, hunted to oblivion , one individual was kept in poor conditions in the Hobart Zoo. It died in captivity in 1936 and has provided us with the last image of this creature. We see it as a few seconds of grainy film of the animal pacing inside a cage. The quality of the black and white footage further convinces us that it is a thing from the past. The Thylacine was declared extinct in the 1980s. The letter from the ACT auditor general will fill us with as much despair, shame and frustration as this old film footage does when there are no kangaroos left in the ACT. And put up a parking lot..."
Back then Mitchell was responding to deep sorrow in witnessing the wanton killing of Hawaiian rainforests, but what has changed? Here in Australia we continue with an anthropocentric car-centric infrastructure fettish, ignorant of the value of the natural assets we've still got left. Colonists of Australia in the 18th and 19th centuries regarded native animals as vermin and fair game. Back then the numbers of rock wallabies, dingo, Tasmanian tigers and marsupials were naturally prolific. Roo shooters and Australian governments perpetuate this barbaric colonial exploitative practice with kangaroos because their numbers are prolific. But these days they try to justify their poaching on the basis that the numbers are unnatural. Like the Thylacine, with many Australian native animals Australian mainstream society (i.e. those sloths who rote read mainstream media and rote vote for mainstream politicians) are comatose in a mindset of not knowing what they've got naturally got until its gone, just like the Tasmanian Tiger surviving only as a symbolic legend on Cascade beer bottles. Australian governments cry Thylacine tears over the loss of Australia's wildlife, while doing squat to protect Australia's threatened species habitat, while condoning wildlife poaching in exclusive legislation and while encouraging the human pathogen rights to destroy nature. Traditional Chinese culture believes in the superstition that slaughtering tigers for their body parts gives Chinese men better libido. In 2010 are Australian governments any less barbaric in their superstitions that encourage wildlife poaching and the human pathogen to destroy natural environments? The wave of compassion and concern for Doug, the young koala that was sadistically and cruelly attacked, is heart-warming. A full recovery will be good news for Australia and overseas. However, it is only a small light in the darkness of species loss in Australia and the rising number of attacks being reported. Already we are culpable for almost 40% of the world's mammal extinctions in the last 200 years, and koalas, a flagship species, are rapidly diminishing in NSW and Queensland. This is mainly because they are becoming vulnerable through loss of habitat. Attempts by the Australian Koala Foundation to have the animal listed as endangered have been stalled by the federal government. Unfortunately, there is confusion about the status of our wildlife. Officially they are protected, but for people of low morals and/or social comprehension, the contradiction comes from the ambiguous way our government leaders treat wildlife. Wildlife Protection Association of Australia Inc has been monitoring wildlife incidents since 1997, and notes that the illegal killings of wildlife have increased dramatically during the last 12 years. Wombats in some parts of Victoria can be killed without a permit by landholders as "pests", and so can kangaroos. Millions are killed or injured on our roads each year because they are constructed without environmental impact studies or wildlife crossings. About 4 million kangaroos are "managed" each year for their meat and skins. Shooters want to be able to kill native animals in national parks in NSW. Native waterbirds can be shot for entertainment in Victoria and Tasmania. All these "protected" animals are killed daily all over Australia, so some low-lives don't know the difference between killing for economic inconvenience, accident, blood-sport, profits or sadistic entertainment. Saving one baby koala is a feel-good and encouraging news story, but the media should not forget the sad plight of our native animals, suffering immensely from loss of habitat, human expansion and introduced species. "In the latter part of the 19th century, kangaroos were considered vermin and legislation encouraged their destruction partly through a system of bounties. Hrdina (1997) reported that, during 1877-1907, almost eight million kangaroos and wallaroos were presented for bounty payments in Queensland. At the same time, commercial trade in kangaroo skins increased dramatically. In Western Australia, where pastoral settlement proceeded more slowly, the skin trade appears to have been the prime motivation for the taking of kangaroos. In 1935-36, 1.25 million red kangaroo skins from Western Australia entered the market in Sydney (Poole 1984; Prince 1984a)." In another anecdote, Rosslyn Beeby says of the Canberra Times, " BETWEEN 1883 and 1920, about three million bettongs and potoroos were shot for bounties in NSW, under anti-vermin laws which put prices from one shilling to threepence on the head "of each grass-eating marsupial". SOURCE: Kangaroo Protection Coalition. NB. This site is worth visiting for insight into the recent State-sanctioned poaching-slaughter at Majura and Belconnen in the ACT. Surgery was unable to save Doug the koala and he died. “Vets operated on Doug’s chest first following X-rays that were taken today, which revealed the pellet was sitting in his chest cavity,” a wildlife hospital spokesperson said. “Vets had to remove hair that was found in Doug’s chest as a result of the impact of the pellet. His mother, Meryl, was also shot during the attack but is expected to make a full recovery after earlier surgery.